Weâ€™d like to reiterate both EncorePro and SupraPlus are current Plantronics products. EncorePro is not replacing SupraPlus. If your organization has standardized on SupraPlus (as most have), you can still order SupraPlus and it is not manufacturer discontinued. Plantronics says if the headset market dictates a change, then they will respond. Until then both SupraPlus and EncorePro headset lines are Â available and in stock at BTP. Both require a modular connecting cable or a USB adapter cable (for UC) that snaps on at the quick disconnect. Each of usÂ at BTPÂ has evaluated the new EncorePro corded headsets and has made live phone calls wearing it. Â Our opinions have pretty much coincided.Â The immediateÂ difference is the updated styling. If you place EncorePro HW510 and HW520 side-by-side with SupraPlus HW251N and HW261N, youâ€™ll want to wear the EncorePro, no question. It looks cutting edge andÂ more expensive, but itâ€™s not more expensive than SupraPlus!Â We love it when Plantronics does that â€“ better headset, same price. Updated styling is sleeker, so looks and feels better on. Ridges tell the user where to bend the mic boom. The microphone boom isÂ slimmer and takes up less real estate on the face, so it looks a lot better on. The new helpful ribbing feature on the cheek side of the mic boom is another obvious difference. The ribbing indicates to the end-user that the mic boom bends, so theyâ€™ll naturally bend the microphone toward the mouth. SupraPlus mic booms bend too, but you wonâ€™t know by just looking at it. It is important to keep itÂ positioned about a half-inch or so from the corner of the mouth. Thatâ€™s the optimum position where the caller can hear you best. EncorePro HW520Â listening sound is much better than SupraPlus! To our surprise, we experienced a significantly fuller, richer sound on the new double ear HW520 compared to HW261N. A more pleasing headset sound for 4 to 8 hours daily makesÂ a difference in keeping stress levels down and minimizing repeats. It all adds up when you are measuring customer satisfaction and employee engagement. The call center is often where the only live client conversation occurs. Itâ€™s where first impressions are formed and customer loyalty judgments are made on every single call. 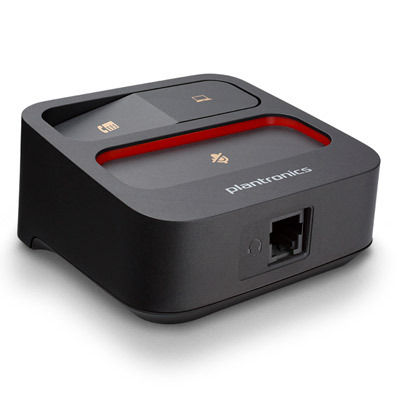 The Plantronics design team knows this and has spent significant time developing a professional communication tool to give customer support professionals the confidence they need. Itâ€™s all about equipping representatives with the correct tools for the job. Click on 1-min 14-sec video below to learn what the Plantronics Design TeamÂ says about the new call center headsets! « Previous: Newest Call Center & Office Headsets Available!